Home Gaming 5 Powerful Tips to Supercharge Your Nonstop Knight! When action RPG meets endless runner, Nonstop Knight by Flaregames lives up to its name. Playable with just one thumb and designed to be intuitive, it is a fun game for all ages. Much like Clicker Heroes or Tap Titans before it, this game is insidiously addictive. It is the kind of addictive where players spend far too many of their waking moments checking in on it, despite knowing it is ultimately pointless. 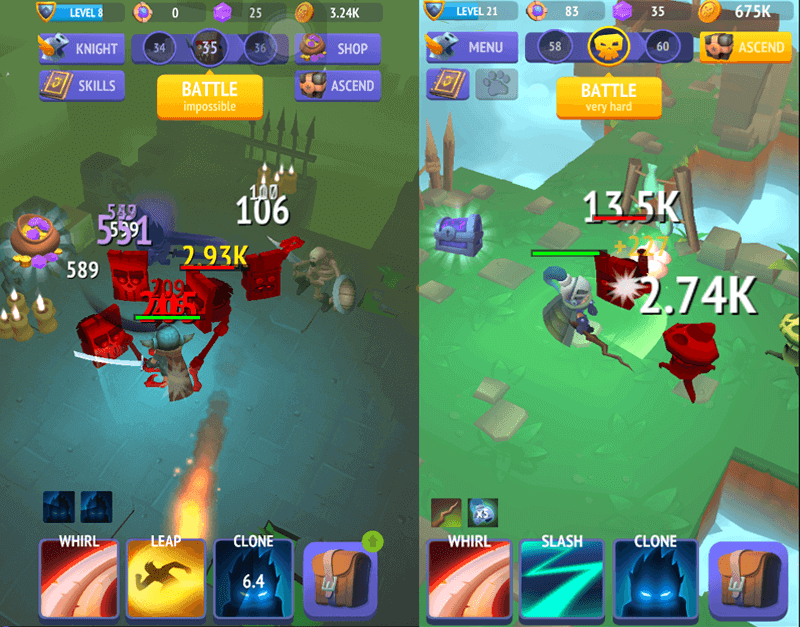 In the world of Nonstop Knight, things happen so fast; it is easy to overlook the ways players can optimize their character and improve his/her stats as they just keep slugging away at enemies. Here are five powerful tips to make sure players are getting the most out of this game. 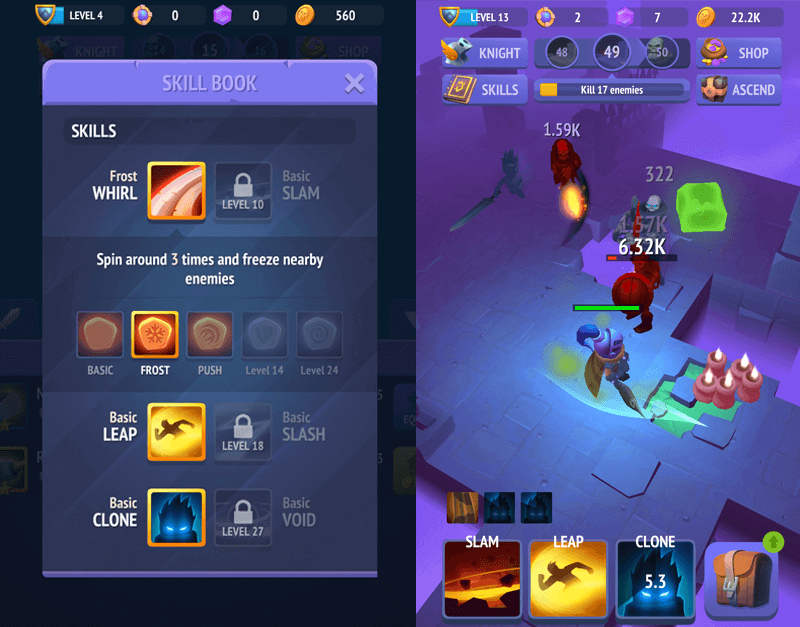 There are three primary skill varieties for Nonstop Knight and players can choose between two types of skill for each variety. When players start off the game, they have very few basic active skills such as Whirl and Leap. As the game progresses, players acquire new skills such as Slash, Clone, and Void through Runestones and level them up to aid them in their quests. While players do not spend any resources to use them, each skill has a cooldown, so the strategic use of the skills is necessary when the game gets tougher. Many of the skills also work in tandem with each other. If the character executes a spin with a push back, then players can chain it with a leap to damage the enemies that have been pushed away. Understanding the effect of the skills and their effective cooldown can help players advance the game easier. 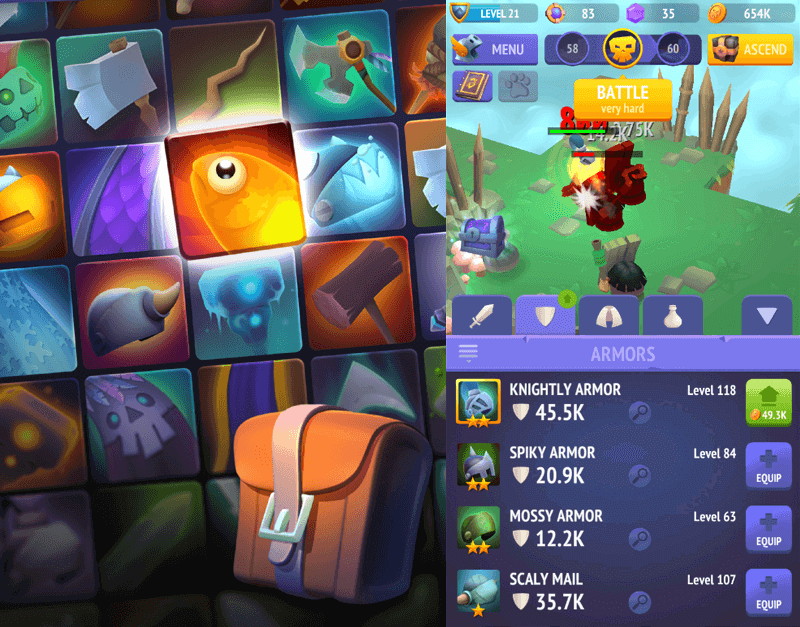 While playing Nonstop Knight, players will come across various items that only have basic attributes such as damage, speed, armor, critical chance and also items that have other bonus modifiers. For weapons, players can equip anything with a boost on attack speed and any bonus attributes focusing on hit attributes as a secondary stat or critical chance. For armor, players can concentrate on +% armor and +% armor with low HP as these items can be very helpful for tough boss fights. Alternatively, they can also keep the 2nd set of armor that has attack speed modifiers for offline grinding. For cloak, players will want to look for the attack speed modifier or armor modifier as these are the most significant boost. Regardless of the equipment strategy, players should not be afraid to upgrade their items. When they get enough coins, they should spend them on toughening up their equipment. When a better equipment is available, equip it to the character straight away. This can ensure that they can clear levels more efficiently. And if they want their character to work hard for them, they have to get the best for their character too. One of the features of Nonstop Knight is the ability to ascend the character. Ten floors into the game, this feature unlocks, allowing players to reborn their character by bringing him/her back to the start of the game. What this ultimately means is that players restart from Stage 1, losing all the items and gold, while keeping their levels and abilities. In return, they gain shop tokens which can be used for permanent upgrades to their plucky little adventurer. If players are not struggling with the levels, they should save the ascension until they are. This is because as more levels are cleared, the ascension bonus increases. It will definitely be worth the wait! If players want to challenge the boss, they can see the difficulty of the fight based on their current strength of their character. If the fight is listed as ‘impossible’ or ‘very hard,’ then it is best to stay clear for now. Instead, they should try upgrading their current items, which boosts their attack and defense ratings. As the character grows, the listing will eventually drop to ‘hard’ (at which the boss should be manageable) or ‘ready’ (where the boss is the easiest to kill). Sometimes when there is a purple chest, players will be asked to watch a video to get a reward. Do it right away as there are freebies available to give the character the extra boost.